Sky Atlantic/©2017 Home Box Office, IncFor Game of Thrones fans, the current series has been a bit of a mystery. As the television writers have picked up the storyline where author George R. R. Martin’s A Song of Fire and Ice novels ended, there is, for the first time, no original text to refer back to. The latest episode to air, episode six, lays the central role of children and young people on a little more thickly. Without giving too much away, the struggle between Sansa and Arya, the Stark sisters, seemingly Arya Stark: Sky Atlantic/©2017 Home Box Office, Inccomes to a head, while a shocking event involving Daenerys Targaryen causes her once more to tearfully utter the phrase “they are my children”, while telling Jon Snow that she is unable to bear a child of her own. We have also recently heard that current queen of the Seven Kingdoms Cersei is pregnant once more with a new heir to the Lannister line. 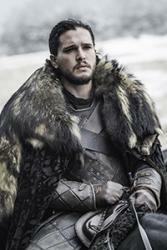 Jon Snow: Sky Atlantic/©2017 Home Box Office, IncSince the first episodes, we have been watching these young women grow and change – but only now is their true significance being made clear. Where once they were shown in the more expected, traditional roles of a medieval female, now they are warriors in their own right. 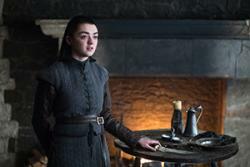 A feisty young Arya has transformed from the lively girl with her sword “needle” to an assassin, a “Faceless Man” trained in the dark arts and haunting Winterfell. Sansa meanwhile has become a different kind of fighter, going from dreams of being a princess to overcoming years of abuse and ultimately emulating her own strong mother, Lady Catlin Stark.